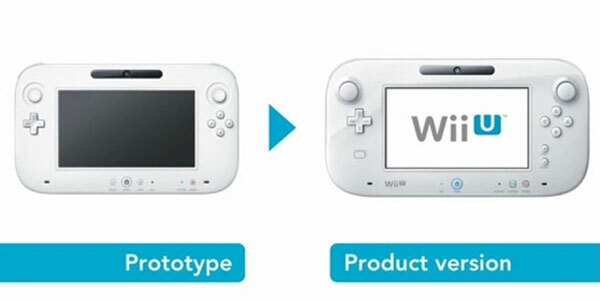 It’s what we’ve been holding our breath for… discovering what the Wii U gamepad will look like. Nintendo President Satoru Iwata revealed the redesigned controller in a Pre-E3 announcement, and we’re excited to see that there are two clickable analogue sticks where the sliders used to be. Apparently they decided that sliders were better for handheld controls as opposed to large console controllers… and we’re inclined to agree. The Wii U GamePad was spotted in both black and white, and that little mysterious square on the left of the controller? Yeah, that’s a Near-Field Communication reader & writer, which will allow other external objects to interact with the Wii U (ie. Skylanders figurines… that’s what matters, right?). There’s still another button on the bottom right of the GamePad, which will allow use of the controller as a remote control for the TV through infra-red. And the whole darn thing has apparently been redesigned to be a zillion times more comfortable to hold.